The donation comes amid fresh pressure from business leaders as talks on Capitol Hill over how to resolve the legal status of dreamers — immigrants brought to the United States illegally as children — are foundering. Amazon.com CEO Jeff Bezos announced Friday that he is donating $33 million to a scholarship fund for young “dreamers,” immigrants brought to the United States illegally as children. The donation comes amid fresh pressure from business leaders as talks on Capitol Hill over how to resolve the legal status of dreamers are foundering. The White House and some GOP lawmakers rejected a tentative deal from a bipartisan Senate group on Thursday, the same day President Donald Trump made incendiary remarks about people from developing countries. 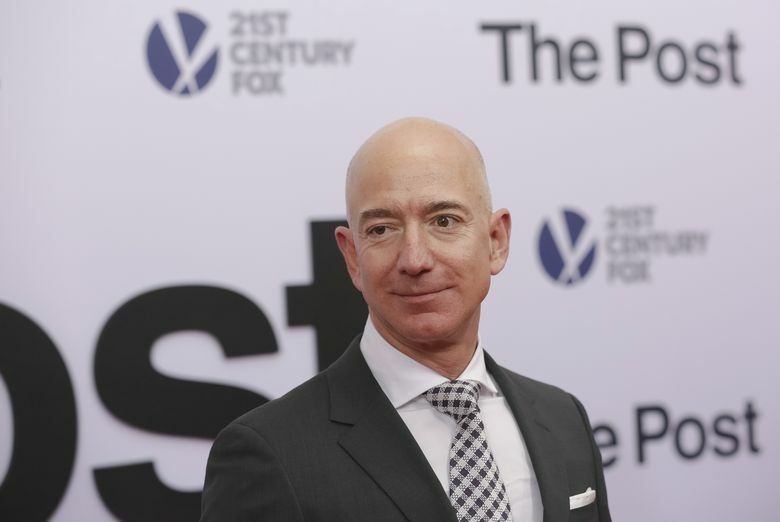 Bezos — the owner of The Washington Post and the wealthiest person in the world — and his wife, MacKenzie, will be donating the sum to TheDream.US, a scholarship program that has awarded more than 1,700 immigrants more than $19 million in financial assistance since it launched in 2014. The money will help fund 1,000 college scholarships and is the largest donation to a fund established by Donald Graham, the former publisher of The Post who sold the company to Bezos in 2013. Graham launched TheDream.US with Henry Muñoz III, the finance chairman for the Democratic National Committee, and Carlos Gutierrez, who served as commerce secretary under President George W. Bush. In a statement announcing the donation, Bezos cited the story of his adoptive father, who left Cuba as part of Operation Pedro Pan. The group previously has received grants from the Bill & Melinda Gates Foundation, Bloomberg Philanthropies, the Inter-American Development Bank, Patty Stonesifer and Michael Kinsley, among others. Trump plans to phase out the Deferred Action for Childhood Arrivals program in March unless Congress replaces it. The Obama-era program provides temporary legal protections to about 700,000 dreamers. Democrats, under intense pressure from immigrant advocates, are trying to use their leverage to force a long-sought immigration deal as part of talks to keep the government open beyond a Jan. 19 spending deadline. Bezos co-signed the letter along with tech titans Mark Zuckerberg of Facebook, Tim Cook of Apple and top leaders from Starbucks, General Motors, AT&T, the Gap, Target, Johnson & Johnson, Warby Parker, Uber, Lyft and others. Pressure from top business leaders could pay dividends in the closing days of the high-stakes negotiations that party leaders believe could lead to an agreement soon. Bezos is a frequent target of Trump, who has accused the businessman of purchasing The Post to advance his business interests. In late December, the president called for the U.S. Postal Service to raise shipping rates that it charges Amazon.com in a deal that he said disadvantages the federal agency. Bezos did not respond to Trump’s comments, but Amazon has defended its arrangement with USPS, noting that federal postal regulators consider the agreement profitable for the mail service. Donations to higher education are a frequent way for the world’s wealthiest individuals to spread their wealth. Bill and Melinda Gates, through their Gates Foundation, have pledged $1 billion over 20 years to their Millennium Scholars program. Vedanta University in India is the recipient of the largest individual donation, a $1 billion endowment established by the Anil Agarwal Foundation, according to records kept by the Chronicle for Higher Education. The Washington Post’s Nick Anderson contributed to this report.